Don't we all love grungy papers??? 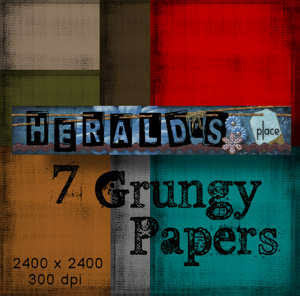 Heral's Place is offering these 7 papers for all of us. It is not the usual 3600 x 3600 size but at 2400 x 2400 size..